Considerable confusion exists about the performance that Wi-Fi at 5 GHz and at 60 GHz (WiGig) actually deliver. The cause of this confusion stems mostly from the complexity of the interplay of the technical factors involved, as well as the widely different Wi-Fi transmission environments – especially in indoor environments. Another reason is the not uncommon but facile assumption that faster is better. If you asked a road traffic expert whether faster meant better, he would tell you that faster driving means reduced road capacity. Data communications in a shared medium is not very different. Over the 20 years of its development, the IEEE 802.11 standard has provided for increasing levels of transmission speeds, but disappointing results in practical use have led to more emphasis on capacity. This paper attempts to clarify some of the complexities and to derive, given reasonable assumptions, what capacity consumers in dense residential settings can expect. Transmission rates Marketing brochures usually give the maximum theoretically possible data rates that can only be realized in the lab under carefully controlled conditions. Table 1 lists the theoretical rates obtainable with the various protocol versions of the IEEE 802.11 standard. In practice, the typical rates are very different. They depend on many factors, including the signal degradation with distance, modulation rate and forward error correction coding, bandwidth, MIMO multiplier, guard interval and typical error rates, and the back-off/rate adaptation parameters. Figure 1 shows the wide discrepancy between theoretical (grey), advertised (light blue) and typical (blue) data rates for the main 802.11 technologies. The typical rates (the black bars) are probably still higher than seen in many practical deployments and certainly higher than the “real” (blue bars) data rates that can be expected by consumers living in an apartment block. Whereas bandwidth and the MIMO multiplier are relatively straightforward factors, the impact of modulation rate is complex and counterintuitive. Table 2 lists typical modulation orders and the associated effective transmission rates for a single stream that can be achieved in a high-density environment such as an apartment block. The signal-to-noise-and-interference ratio (SNIR) varies exponentially with the transmission rate – without MIMO. MIMO and wider channels are, roughly speaking, just multipliers on the basic single channel/single stream rate. For example, 4×4 MIMO on 40 MHz channels gives a very robust link with high capacity of 200+ Mb/s that needs only 14 dB of link margin. This outcome is not very different from the “typical” (but optimistic) numbers in Figure 1 above, if one assumes a 4×4 MIMO configuration or a 2×2 configuration in a 40 MHz channel, operating in an office at some distance to the access point but with no intervening walls. Walls or floors drop the signal strength and reduce the SNIR at the receiver and therefore the achievable transmission rate, possibly by a factor 4 or more. The actual throughput depends on the real-world transmission rates and local conditions. User activity level and distances to the access point, average packet size on the link (which feeds back into the typical error rate), number of users per access point and number of access points and clients on the same channel and within interference range. This is why the perceived rates vary with location and time of day: worst case is probably the multi-tenant residential building in the late afternoon and evening hours, and the best possible case is probably the office building after hours. If we assume six users per access point, that means each user gets onesixth of the channel capacity. The number of other networks on the same channel further eats into the channel capacity. Assuming the typical data rate of .11ac given above (866.7 Mb/s on a 80 MHz channel and using 2×2 MIMO) each user would get about 145 Mb/s when near the access point, but much less in the room next door or the floor above. This result assumes that there are no other networks on the channel.3 However, a mix of MIMO configurations will bring 870 Mb/s down to well below 400 Mb/s, and the 145 Mb/s per user down to 80 Mb/s or less. This is further reduced by lower rates needed to serve more distant stations. The effective data rate – what is left after all protocol overhead has been subtracted – is even less. Typically, the protocol overhead will consume approximately 50% of the raw data rate: 40 to 80 Mb/s for six users in a typical residential setting. If most of the traffic is “bursty” in nature, the user experience will be quite reasonable: 12 Mb/s is enough for HD-TV, which is also supported by buffering. (Buffering means doing something extra, when the bandwidth is available, so when less is available, the user would not immediately experience the lower bandwidth.) The .11ac standard includes a performance enhancement feature called MU-MIMO that allows the multiplexing of traffic to multiple users in the same transmission, although each at a lower data rate. This reduces the need for contention resolution. Throughput is not affected much, but response time improves – as does the user experience. To understand the true capacity of Wi-Fi in a given situation, you have to take into account the width of the Wi-Fi channel in use, the number of channels available, and the number of channels in use by other Wi-Fi devices. The channels available in most countries worldwide are shown in Figure 2. The grey area indicates the weather radar band, which is usually available, but not frequently used. Vendors tend to shy away from the perceived risk and product complexity associated with the radar avoidance function (DFS) that needs to be implemented when using this part of the band. As noted previously, data rates affect the vulnerability to interference from other networks on the same channel. The best result is obtained when each network has the channel to itself. At the highest rate of .11n (64 QAM), the required SNIR is 23 dB. That means that the distance to the next (indoor) network on the same channel must be 2^(23/10) = 5 times the range of the network itself. It also means that an area of 25 times the coverage area must be free from other networks on the same channel. For the highest rate of .11ax, the free area must be 146 times larger. For medium rates (e.g. using 16 QAM modulation), this area factor drops to 2^(14/10) = 7 times. The latest .11ax amendment of the IEEE 802.11 standard for the 2.4 GHz and 5 GHz bands promises a fourfold increase in capacity relative to .11ac. Achieving this objective means major changes to the medium access procedures, uplink as well as downlink multi-user transmissions, variable subcarrier allocations per transmission, and improved multipath resistance. The central tenet of distributed medium access control (MAC) has been extended, giving the access point control over when client stations can transmit. Together with adaptive management of the medium access thresholds and transmit power levels, this should provide a major improvement in Wi-Fi capacity without the need to increase channel width or transmission rates. A second major new feature is the provision of a flexible means to allocate channel capacity to specific clients for multi-user transmissions, uplink and downlink. The channel capacity is defined in terms of resource units, each of which is a combination of channel width, modulation rate and transmission time. Using a water filling algorithm, the access point can optimize its resource allocations on a per-client basis, instead of having to adapt channel use to the most distant client. Together with uplink multiple access, this improves transmission efficiency and thus increases the capacity experienced by the user. These improvements are complemented by changes in guard intervals and symbol length that assure a more robust performance in an outdoor environment. Whether the promised improvements will be realized in practice remains unclear. In a greenfield environment, the projected benefits could be achieved, but this is less likely in mixed legacy/11ax deployments. A greenfield deployment requires removing legacy equipment from channels assigned to .11ax usage. This is relatively easy in a commercial or institutional setting, but in the consumer coordinated spectrum use is not possible. Given the huge installed base, mixed legacy/.11ax deployments with potentially disappointing performance will be the likely outcome for many years. All the projected .11ax improvements apply regardless of channel widths. As Figure 2 above illustrated, there are 20 channels of 20 MHz, 10 of 40 MHz, 5 of 80 MHz and 2 of 160 MHz in the 5 GHz band. When there is a lot of interference, 20 MHz channels and medium data rates provide the best user experience and are the best option. MIMO allows effective transmission rates to be maintained. However, since Wi-Fi networks do not talk to each other, getting all networks to choose the locally optimum data rate is virtually impossible. Every network will independently “optimize” its own settings – high order modulation and wide channels – to maximize performance, and therefore all will suffer the same results. To go back to the road traffic expert – everyone will try to drive at maximum speed, with the result being a number of serious “crashes” via interference or (data packet) collisions. And since no one is incentivized to back down, any bandwidth that becomes available will be ruthlessly taken by everyone else. The best solution is “managed Wi-Fi” – either under the control of a central management app or locally managed with reference to a common database for all users. Several vendors provide such managed Wi-Fi solutions, but only for commercial or institutional customers. For .11ad (formerly known as WiGig) the story is quite different, largely due to differences in physics. 60 GHz signals do not penetrate walls easily, even plasterboard walls, very easily and therefore the access point in a given room is effectively isolated from the access points in other rooms. So the full capacity of the access point is only shared with a small number of users, and interference from adjacent rooms plays (almost) no role. Whereas a single .11ac spatial stream in a 160 MHz channel provides roughly 866 Mb/s, a single .11ad spatial stream can provide 7 Gb/s in a 2160 MHz channel. This is almost 10 times the data rate, using as much as 13 times the spectrum. This results in a lower modulation rate and less dependence on implementation parameters – the transmitter EVM can be lower, making the development of products easier. Furthermore, because 60 GHz does not penetrate walls well, interference from signals from the neighbours is much less of an issue. These high data rates sound exciting. Unfortunately, they are not very useful in practice. To again compare it to traffic terms, it may seem great to have a high-speed freeway in your house, but if the internet access to your house is just a narrow street, what is the value of the wide freeway? It is no surprise, then, that the market is still trying to find useful applications for .11ad. The fact that the in-process .11ay standard is promising even higher data rates is just another example of the blind belief that more speed is better. Let’s start with the local connection. Typically, Gigabit Ethernet is provided by the cable modem or xDSL router. The capacity provided is adequate to service a number of .11ac access points in a home. A four-room dwelling with four .11ad access points can easily absorb the throughput of a 10 Gigabit Ethernet. 10 Gigabit switches typically split one 10 Gb/s line out to 8 or more 1 Gb/s lines – just about the throughput of a single .11ad access point. The external connection is a different story. The typical cable or xDSL connection runs at a few hundred Mb/s down, and a few tens of Mb/s up. That is as much as ten times less than the new generations of 5 GHz and 60 GHz Wi-Fi can handle. The problem is exacerbated in multi-dwelling units where several homes share the same external pipe. Operators have taken notice and are leveraging the renaissance of copper to upgrade connections. However, that upgrade does not fit the much higher capacity of the 60 GHz Wi-Fi. Given the investments needed, it is unlikely that the next upgrade to multi-Gb/s DOCSIS®3.1 will come soon to consumers. That delay may further delay the acceptance of .11ad/ay. The conclusion of this analysis is that the inverted performance pyramid in communications bandwidth will be with us for many years, and that 60 GHz Wi-Fi faces an uncertain future. The very high rates in the home of offered by 60 GHz Wi-Fi provide an opportunity for new approaches to organizing the “internet” – a shift towards edge computing with local storage accessible through fast links in the home but linked to cloud-based services with slower, wide-area connections. The relentless push forever higher “speeds” of Wi-Fi technology dominates the evolution of the standard, with little regard to the actual effect in practical situations. Considering the underlying physics, as well as the impact of interference in dense environments, results in a very different picture, notably for consumers. For most of them, the top data rates shown in marketing brochures are not attainable. However, the Wi-Fi industry has recognized this, and in the work on the .11ax Amendment, there is increasing emphasis on improving real world capability to serve multiple users with simultaneous high data rates for all. Reaping the benefits of the improvements in Wi-Fi capacity requires matching increases in infrastructure capacity, and service providers are taking action. Some are installing more powerful DSL modems; others are increasing cable capacity or installing fibre. Together with the improvements in Wi-Fi, this trend promises to deliver unmatched quality of internet access to consumers. In addition, the Wi-Fi improvements open the possibility for consumers to join the edge computing bandwagon and leverage local storage to reduce their dependence on service providers. 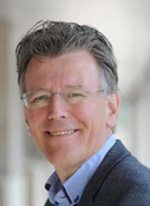 Cees Links was the founder and CEO of GreenPeak Technologies, which is now part of Qorvo. Under his responsibility, the first wireless LANs were developed, ultimately becoming household technology integrated into PCs and notebooks. He also pioneered the development of access points, home networking routers, and hotspot base stations. He was involved in the establishment of the IEEE 802.11 standardization committee and the Wi-Fi Alliance. He was also instrumental in establishing the IEEE 802.15 standardization committee to become the basis for the Zigbee® sense and control networking. Since GreenPeak was acquired by Qorvo, Cees has become the General Manager of the Wireless Connectivity Business Unit in Qorvo.